Irish music festival OXEGEN 2006 was launched this afternoon with the news that legends The Who and American funk-rock heroes Red Hot Chili Peppers are to headline. This year's festival will take place on Saturday 8 and Sunday 9 July, subject to licence, with The Who and the Red Hot Chili Peppers on the Main Stage at Punchestown on Saturday and Sunday respectively. The Who's OXEGEN debut takes place at the start of a worldwide tour celebrating the release of their first studio album, 'It's Hard', over 24 years ago. 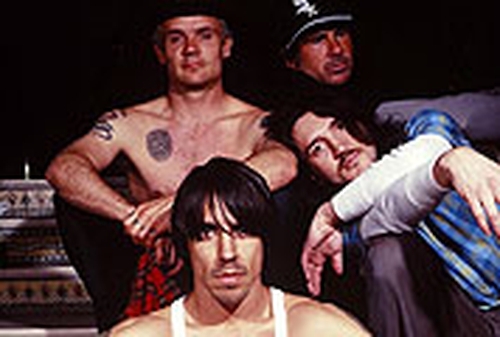 Red Hot Chili Peppers, who last played to 115,000 fans at Dublin's Phoenix Park, are set to play the only Irish date on their forthcoming tour at OXEGEN. Other bands that will perform during the two-day event include Brit Award winners Kaiser Chiefs, The Strokes, Scottish rockers Franz Ferdinand, former Verve frontman Richard Ashcroft and record-breaking northern punk-pop buzz band The Arctic Monkeys. The Spirit Dance Arena will see Chicago house impresario Felix da Housecat and David Morales, Brooklyn DJ and producer extraordinaire, take to the decks. Ireland's Bell X1, world music star, Manu Chao, legendary Scottish rockers Primal Scream, Iceland's Sigur Ros and Grammy Award winner Damian Marley were also among the bands announced, with more artists to be revealed in the coming months. Tickets for OXEGEN 2006 - priced €69.50 (one day), €130 (two day) and €160 (two day with camping) - will go on sale Friday 3 March at 8am from Ticketmaster outlets nationwide.